Great 'car camping' stove. 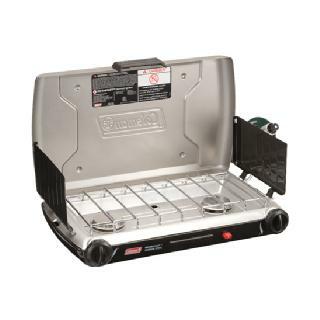 Offers the versatility of a burner for a pot of joe plus a grill for cooking a burger. I purchased this stove to replace my old Coleman stove that had seen the end of its useful life. I liked the idea with this stove that you have both a burner and a grill/griddle. 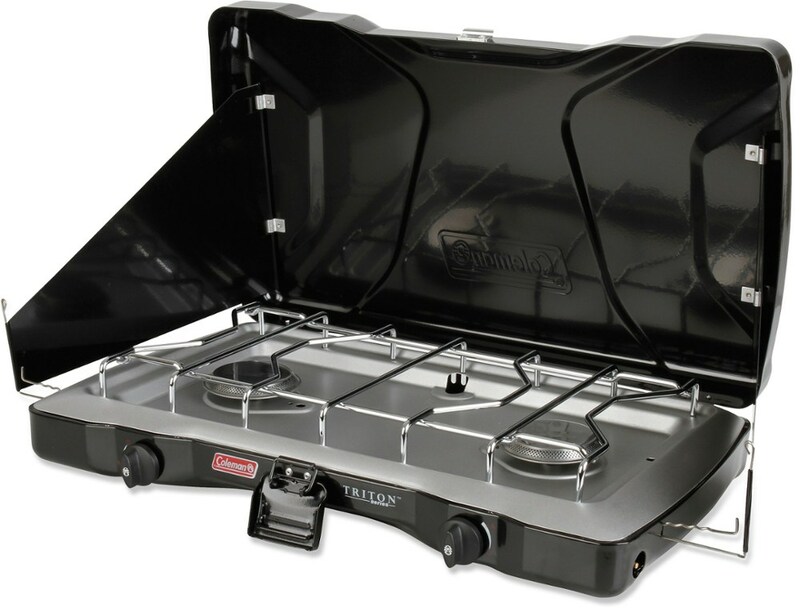 This unit is typical of all of Coleman's previous stoves, the top is held up by two side wings, which can act as either a small lightweight shelf (I never use it this way) or a windscreen. Setup is easy, open the lid, unpack the regulator and screw it onto the stove and the gas bottle. The stove has a button to create a spark for an 'instant light' and I have to say it usually works on the first push. There are two knobs on the front of the stove, one for each burner. I find that the flame control could be a little better. It is either high or off with a very small window in there for smaller adjustments for simmer. Even though the knob turns a lot it does not affect the flame much. The grill side has a single tube burner that goes down the center of the grill/griddle so heating is not as even as it could be, but it isn't too bad. 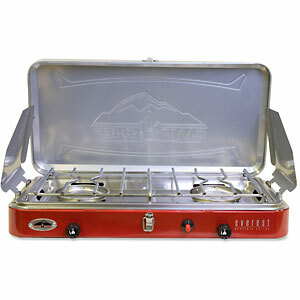 This is a small camp stove don't forget, not a wolf cook top at home. Cleanup is pretty good. 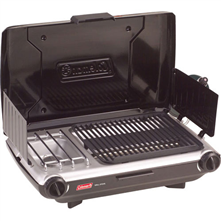 The grill side has a drain in the bottom that allows the grease and drippings to drain into a small plastic trap that you can remove and clean. I usually still line the inside below the burner with aluminum foil as an added precaution. Packing up is again pretty straightforward. Once you've wiped down the stove you disconnect the propane bottle and regulator. I sometimes find the brass fitting on the regulator a bit hard to unscrew from the stove but with a little wiggling it loosens up. 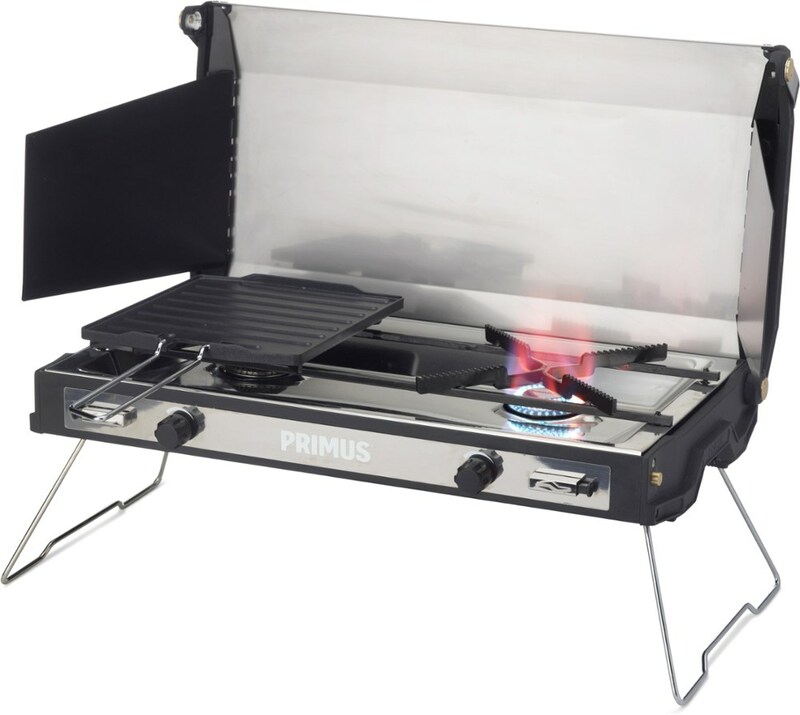 After disconnecting the regulator you can pack it inside under the grill and close the lid. The lid has a plastic 'catch' that allows the lid to stay shut and it works pretty good. I also have the carrying bag for the stove which has enough room inside for the extra griddle and there are two side pockets for propane bottles. I usually find I go through a single full bottle of propane on a 3-day outing, which I think is pretty good in terms of being efficient. I've had this stove for three and a half years and it's worked great on multiple outings. It's been used in all kinds of weather and I have no complaints. 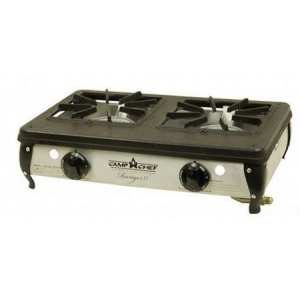 All in all this is a workhorse of a stove and is typical of Coleman's products. It isn't the lightest or the smallest but it does offer consistent heat and a good cooking surface. Good for a family of 4 on a car camping adventure. I wonder if, in 30 years it will run as well as my old green Coleman stove does. Ditto on Jeff's comments. We still car camp with the old green stove--I pulled that one out of a run-down camper that was about to be scrapped 10 years ago! Thanks for the review. Thanks for sharing your helpful review, Greg! Won't replace your green stove, but does a good job as an extra. Could be a bit longer? We started using this stove/grill last year and really liked it. We have a big kitchen setup we got from Bass Pro that gives us lots of room. This stove did just what we needed, without any problems. Ignition and flame control was on the money. Can't tell you how long it took to boil water because we didn't time it. Great weather in the Northern Calif. forest, so no wind to speak of. We also packed the old green Coleman I've had for 40 years, and together we were covered with three burners and a grill. If I had to say anything about this grill it would be that using a big pot on it was a bit cramped, but making it longer or bigger might not work as well for space. All in all a very good product. Thanks for the review, Danny.